Founded in 2010. Charity Trotter is a natural light, lifestyle photographer based in Kansas City, MO. Personal, on-location lifestyle and portrait photography services are offered in the Kansas City area, as well as surrounding areas. 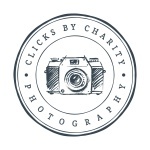 Clicks by Charity Photography specializes in family portraiture; also working with expecting parents, newborns, engaged couples, weddings, high school seniors and so much more!